At Got Muscle we are committed providing quality services with the highest levels of customer satisfaction – we will do everything we can to meet your expectations as we help you to meet your fitness goals. With a variety of offers to choose from, we’re sure you’ll be able to find a fitness plan that suits your needs. We offer competitive rates for one-on-one personal training complete with a customized training plan designed to fit your schedule, goals, and abilities. Contact us to schedule a free assessment and let’s take the first steps toward your new lifestyle. Our mission is to give you a dynamic experience, from physical results to a lifestyle impact. 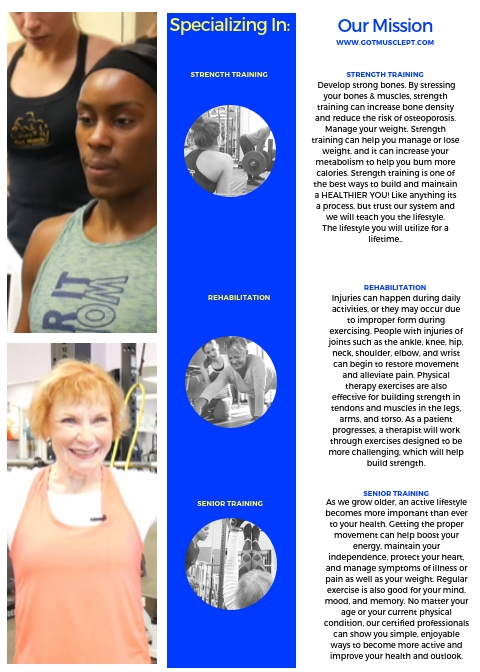 Three times per week our renowned fitness professionals will push you through innovative, high-intensity workouts supported by elements of movement, nutrition and regeneration to meeting your fitness goals. Because results are why you’re here. Got Muscle trainers and coaches are highly educated professionals and acclaimed group fitness instructors. We train on your level, a mixture interval and functional training. Don’t do it alone, Experience the Master Group Training maximize your Results with our system.